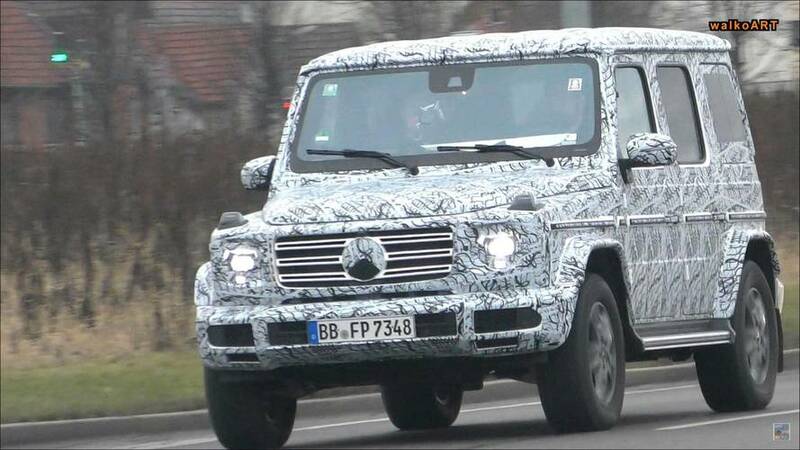 The G-Class has road presence. 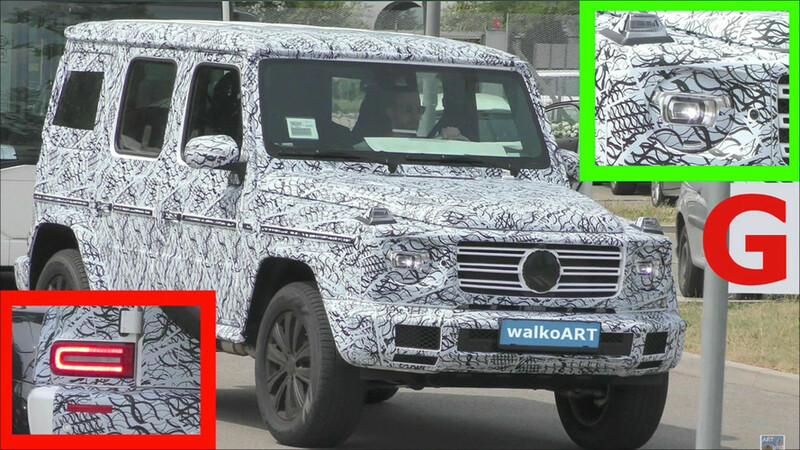 2019 Mercedes G-Class Filmed, But Can You Tell It’s The New One? 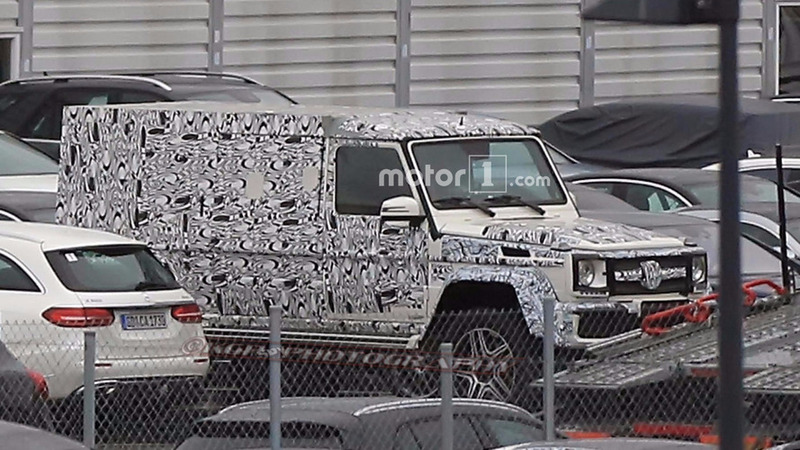 If you know where to look, it's easy to spot that this is the 2019 G-Class. 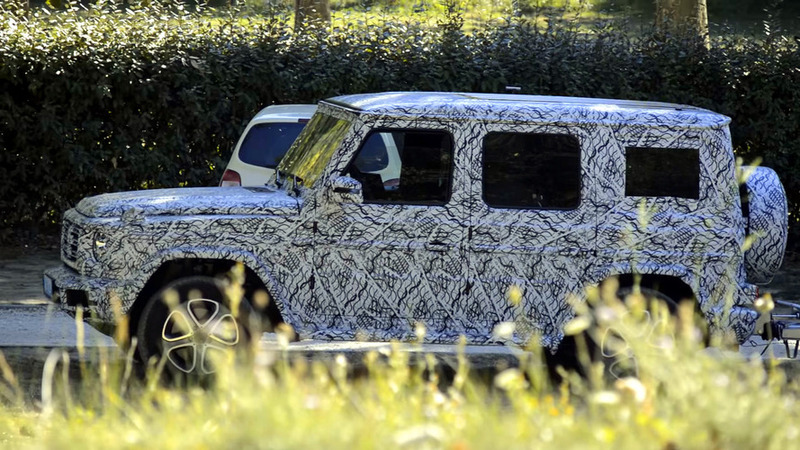 Looks can be deceiving, because nearly everything on the new G-Class is different. 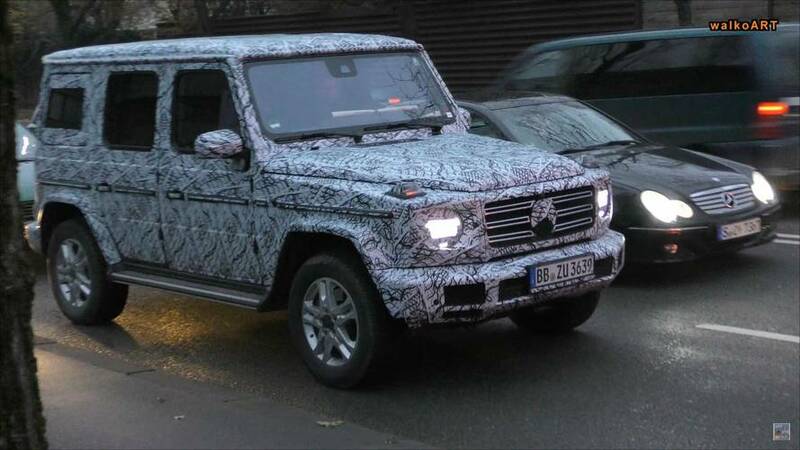 Don't let the look deceive you - it's going to be a truly new model. 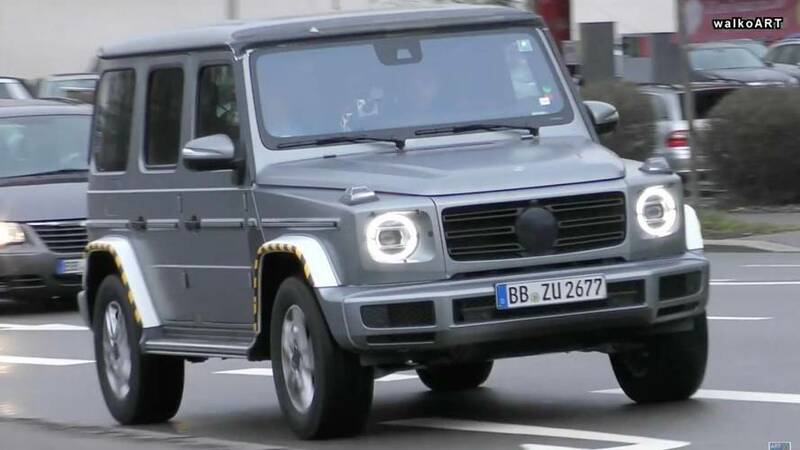 The front end features a version of Mercedes' Panamericana grille with vertical slats. 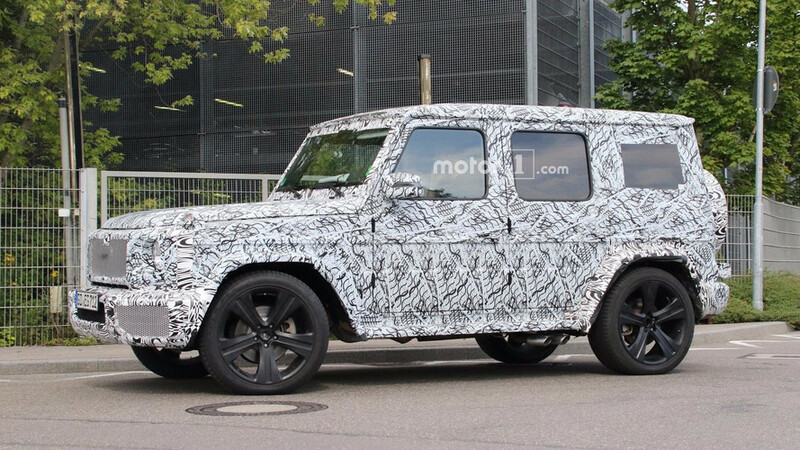 Just the way we like it: boxy and with side exhausts. 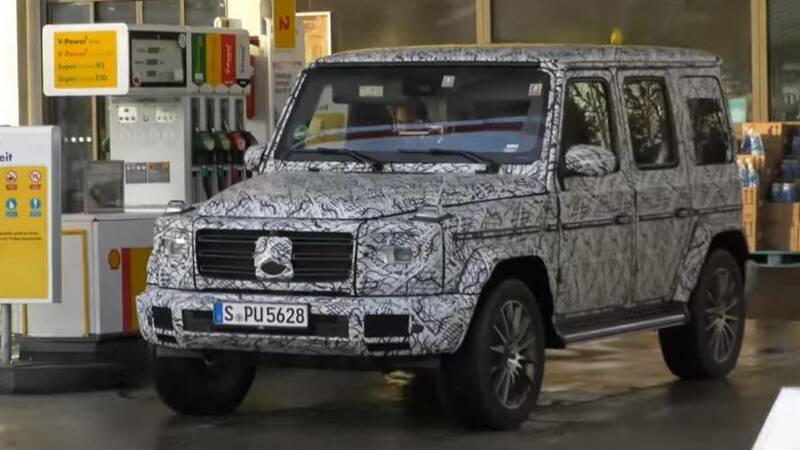 The next-generation SUV looks similar to the current one, but Mercedes is clearly giving it a big technology upgrade. 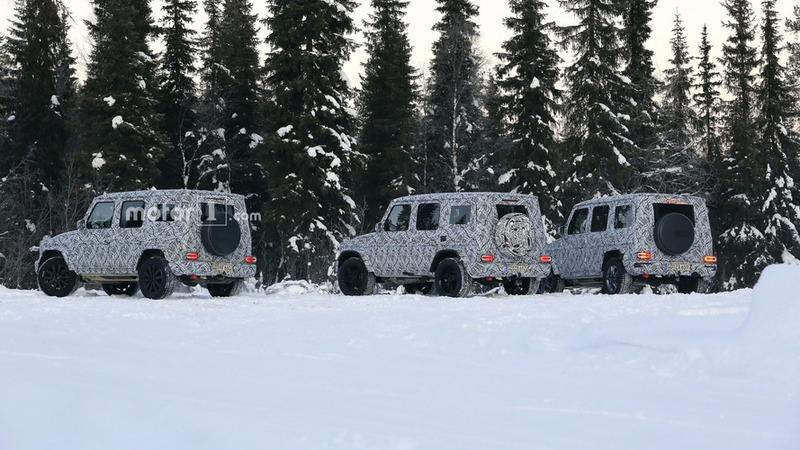 Several of the rugged SUVs show up together in this clip. 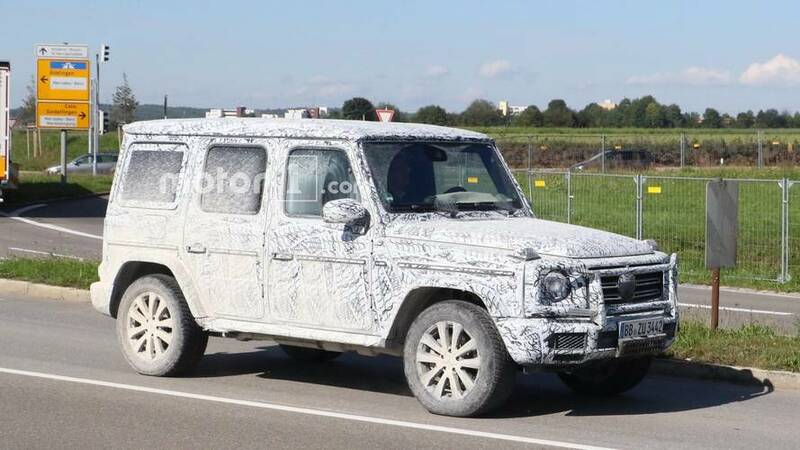 2018 Mercedes G-Class 4x4² spied as double cab pickup? 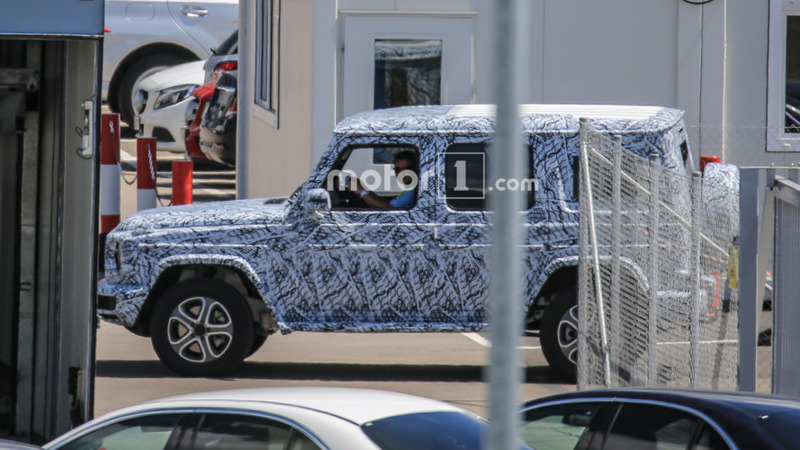 It seems the Mercedes 'G-Class Squared' will spawn a more utilitarian version with the same boxy design we all love. 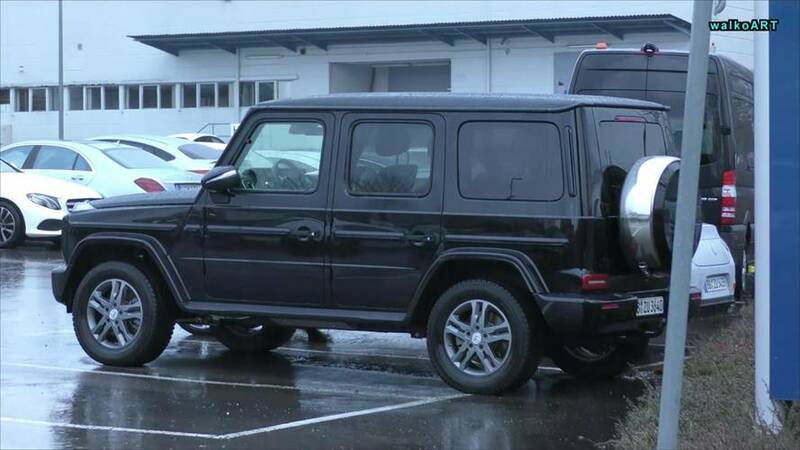 There's a ton of extra room at the back. There might even be enough to add an extra row of seats. 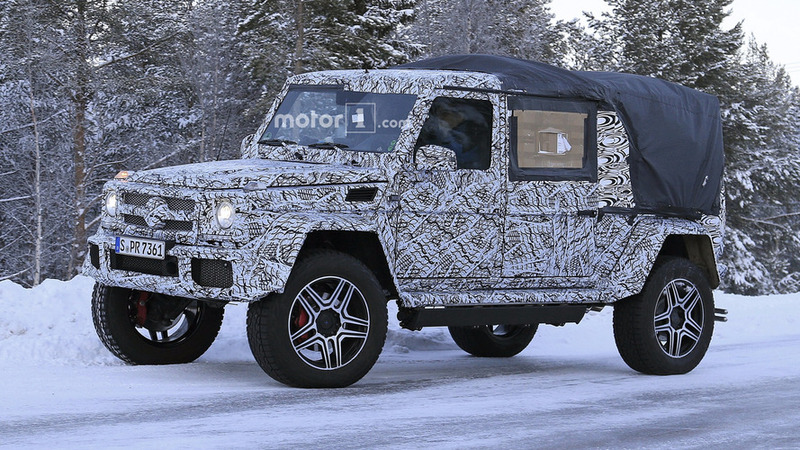 The Mercedes snow patrol reporting for duty. 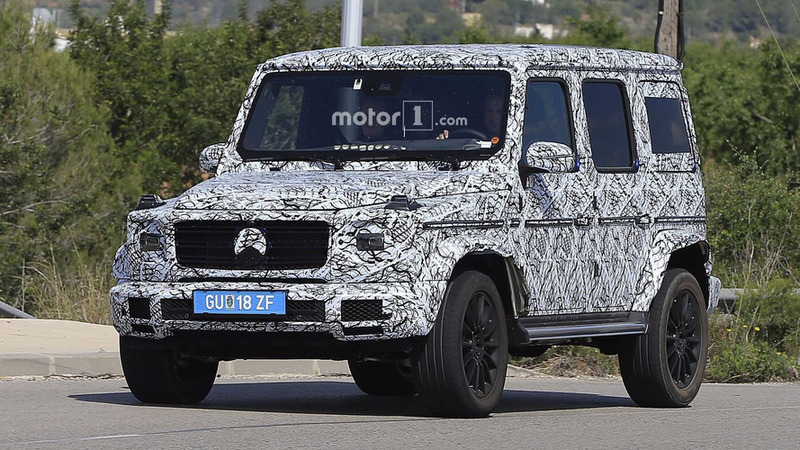 The G-Wagen has been boxy since its inception, and thankfully it will remain that way in its next iteration. 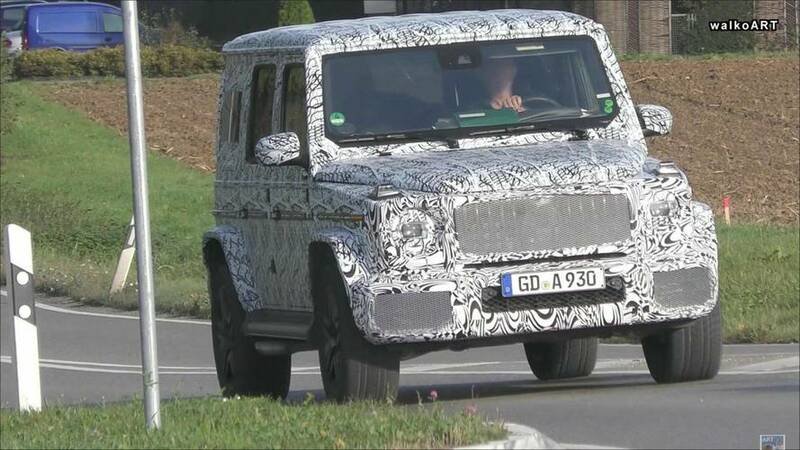 The update likely arrives in 2018. 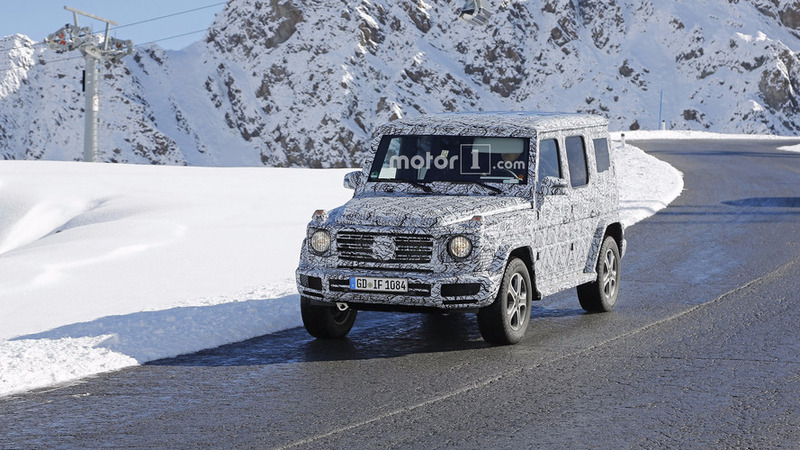 The iconic off-roader will live to see another generation and will remain as boxy as ever. 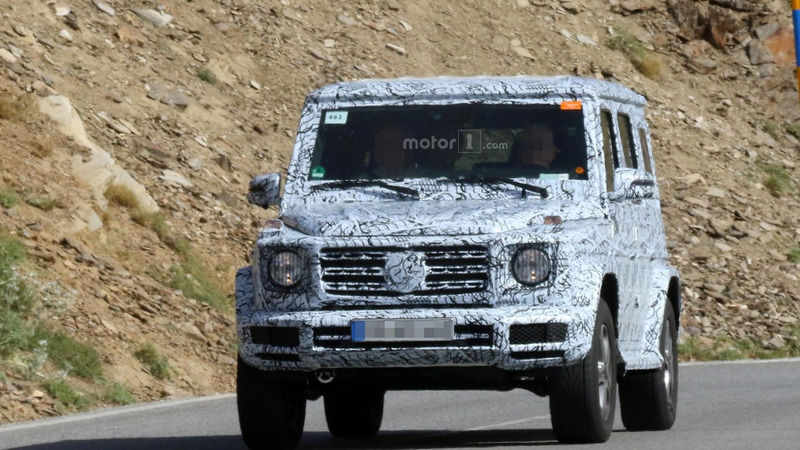 New model slated to arrive next year.